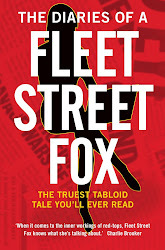 fleet street fox: Humanity (n.): the quality or condition of being humane. Humanity (n.): the quality or condition of being humane. THERE are lots of different ways to be poor. It can be that you find it hard to maintain the life you're used to - that you lose your job, but are reluctant to take one that is poorer paid, because it won't pay for the mortgage, the car, the internet, the central heating. Or it can be that you live somewhere that has no door, where the head of the household has to choose which child to feed today, where school costs a month's salary and growing crops doesn't get you as much money as growing opium. There are places where the poverty of expression is just as crippling - where people can eat but not speak, like Libya for the past 41 years, or China, where there has been a famine of food and thought for 62 years. These days many Chinese have fridge freezers, but there are too many who have never learned to see beyond themselves to help two-year-old Yue Yue when she was run over in the road. When I was growing up there was food, and warmth, and clean water and free schools. We never wanted for a fridge freezer, in fact we had two, and a couple of tellies although one was black and white. I felt poor when the other girls had horse-riding lessons and the new Barbie and permed hair, while I had Girl's Worlds from a jumble sale and last year's Barbie and my mum cutting my fringe, and used to complain to my parents how it wasn't fair. When I said that they would tell me about their childhoods, about rationing after the war, about paraffin heaters and linoleum instead of carpet, wages running out on Wednesday and bread dipped in dripping for your tea on Thursday before dad got paid on Friday and they could afford fish, about choosing between having free eggs and wringing a chicken's neck for the meat. They told me about their parents being raised in far worse circumstances, about families of 10 and gin and getting on a ship to a strange country and suicide and unhappiness I would never know. They would explain that dad wasn't working at that place any more, but he'd found somewhere else. They said the interest rate on their mortgage was 15 per cent, and I didn't know what they meant. When my grandparents would visit, I was told to be grateful for any gift they gave me because they didn't have much. 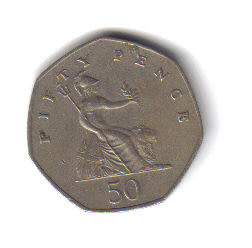 They would fish fifty pence out of their purses, and press it into my hand and give me a strange grandparents' kiss and a hug when they left, and mum told me to say thank you because that was a lot to them. My gran bought Christmas presents in the January sale and kept them for a year, so the year she died we all got gifts from her a month after she'd passed away. We forget that because we have sewers and out-of-town shopping centres and what-not that there are people here whose lives would be easily recognisable to someone in a Victorian slum. I've been in places a stone's throw from central London where cockroaches run free, where the methods of disposing of human waste are a cholera epidemic waiting to happen, where tuberculosis still kills and children have rickets. These are the breeding grounds for crime and terror, and no-one in authority dares go there. This winter, at a conservative estimate, at least 3,000 people in the UK are going to die because they're not warm enough. They all have homes, and blankets, and access to the NHS, and they're going to die anyway because they have to choose between eating a tin of beans or turning on the heat. That's more than are killed in road accidents every year. And in response our government insists on green taxes for the energy companies, which pass them on to the consumer, and pushes the cost of that heat even higher in a practice which impacts on the poorest households far harder than it does the wealthy ones where our politicians all live on £65,738 a year and second-home expenses. It criticises the elderly for 'bedroom blocking' by staying in their homes rather than selling up to a younger family and going into residential care. Meanwhile we spend our time worrying about the ways in which we might get cancer, an illegal travellers' site in Essex which is hardly Zimbabwe however hard we look at it, and a Defence Secretary with the judgement of an eight-year-old child. I'm not saying those things aren't poor. I'm not saying that someone struggling in the Yemen has it better or worse than someone struggling in Milton Keynes. The real problem in all of the above is a poverty of humanity - the people who didn't help Yue Yue when she was run over, the people who grow opium because it's easier, the ones who fight the police at Dale Farm just because they want a fight or hate the travellers just because they want to hate, those who let Gadaffi engage in 41 years of death and misery and cheer his death rather than regret his escape from his crimes, the politicians who want to hit a target before they bother to stop people dying, the people who don't look in on their neighbours or talk to their relatives. It's the lack of those well-intentioned philanthropists who transformed this country a century or two ago, and on whose good works we still rely because there's no-one else making the effort. True poverty is not about what you have, but what you don't. People who've lost their humanity are the poorest of all. It always meant a lot to me.